Almost two years ago, we were preparing to start filming the cycling classes of “Mama Agatha” – Agartha Frimpong – and her team in the SouthEast gym. Now, just as another round of classes for migrant women has started, we’re so happy to announce that the film is finally returning back into the Amsterdam Zuidoost community. 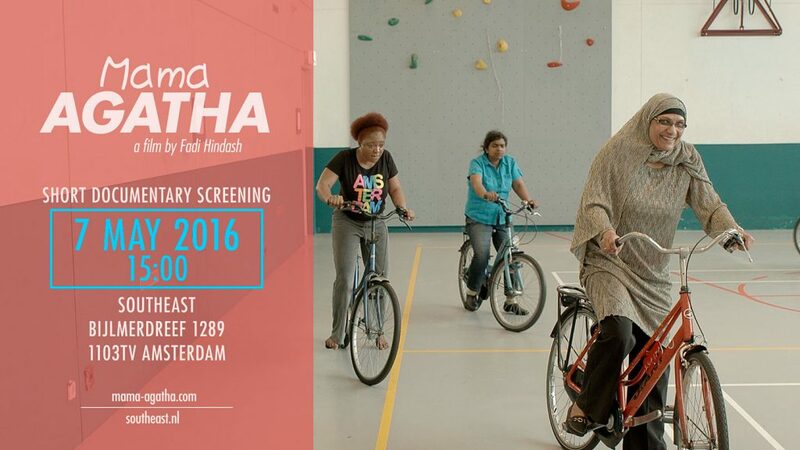 Mama Agatha will soon be screening at the place where it all began, at SouthEast, Amsterdam on Saturday, May 7 2016, 15:00! Don’t miss this wonderful chance to see it at SouthEast, Bijlmerdreef 1289, Amsterdam. ← Last minute: Tomorrow at W139 Amsterdam!